Woodland was carefully managed in the Middle Ages, when woodland products were in great demand. Different tree species were grown for specific uses, and while our native holly was not a timber tree, it used to be encouraged because its foliage was cut as iron rations for deer and other stock in winter - it was also valued as protection for young timber trees. In Sutton, measures were taken to protect holly trees - a bye-law of 1555 ordered that no-one was to cut branches of holly or elm. Branches were being cut mainly for fodder, as when Thomas Worth was fined fourpence for cutting the heads off holly trees in 1582. However, when William Duckett was fined 3s 4d in 1577 for cutting down and carrying away holly trees growing near the pales of the Park, he would have used them as firewood, as holly logs give out a good heat. Holly trees were sometimes used as landmarks. A field at Little Sutton was described in 1569 as being bounded on one side by “a holly which groweth upon the next land adjoynying”, and this field still bore the name Holly Tree Leasow in 1824. A house called The Hollies is recorded in Sutton in 1580, and “holly” is still an element in many placenames, as in Hollyhurst in Sutton Park. 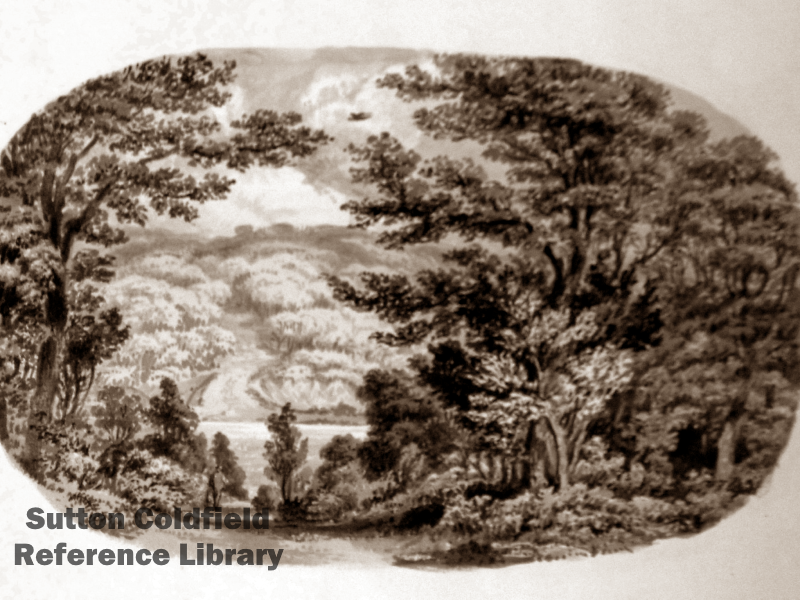 Sutton Park woods were discussed at a public inquiry held in Sutton in 1855, when expert witnesses declared that they could be much better managed. Mr Joyce was asked what he would do to the woods - “I would cut down most of the holly to give the timber breathing space” was his reply. 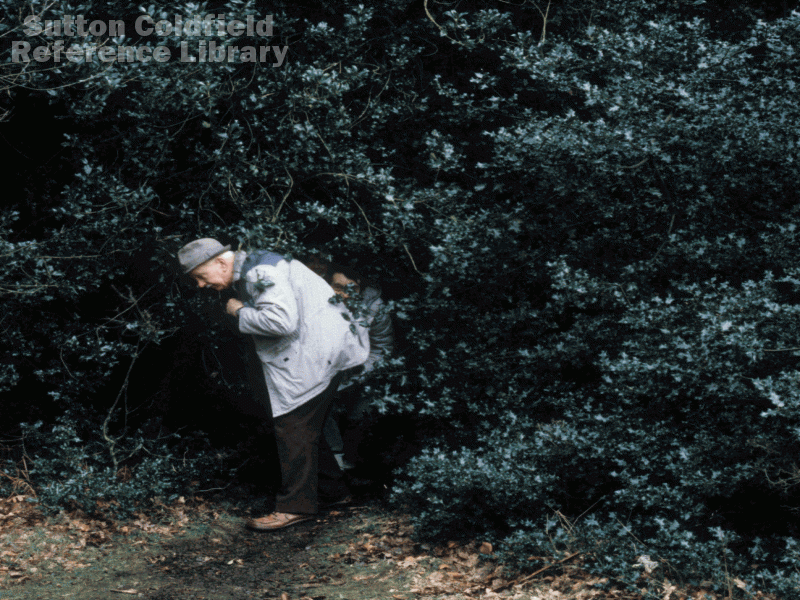 The holly bushes are a nuisance nowadays to historians trying to trace the course of earthworks which disappear into impenetrable thickets of holly! At Christmas the custom is to “deck the hall with boughs of holly”, preferably with plenty of bright red berries. 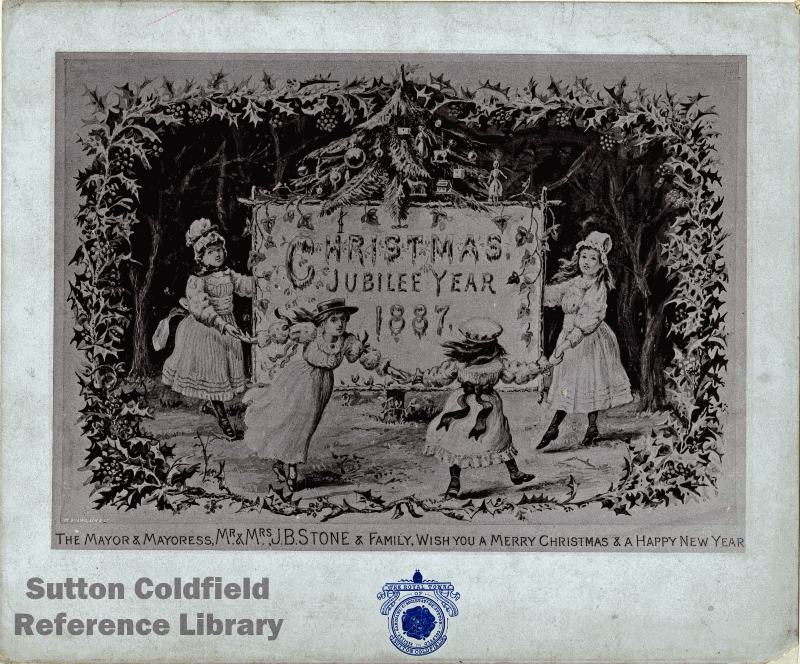 In 1894 it was reported that “16 cartloads and 656 bundles of holly were provided at Christmas” from Sutton Park for Sutton residents. View of Keepers Pool through a grove of holly, by Miss Bracken. The Mayoral Christmas card of 1887, framed by a holly wreath.